In the Dashboard window's sidebar, click the Software Breakpoint toggle button to enable/disable software breakpoints. At the bottom of the Dashboard window under the Debug Resources node, you will see the current status of Software Breakpoints. Using software breakpoints impacts device endurance. Development devices that have been used with software breakpoints should not be used for production. 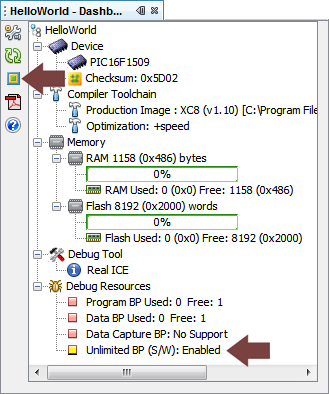 Software breakpoints are only supported by the MPLAB® Real ICE and MPLAB ICD3 debuggers. Select REAL ICE under Categories. 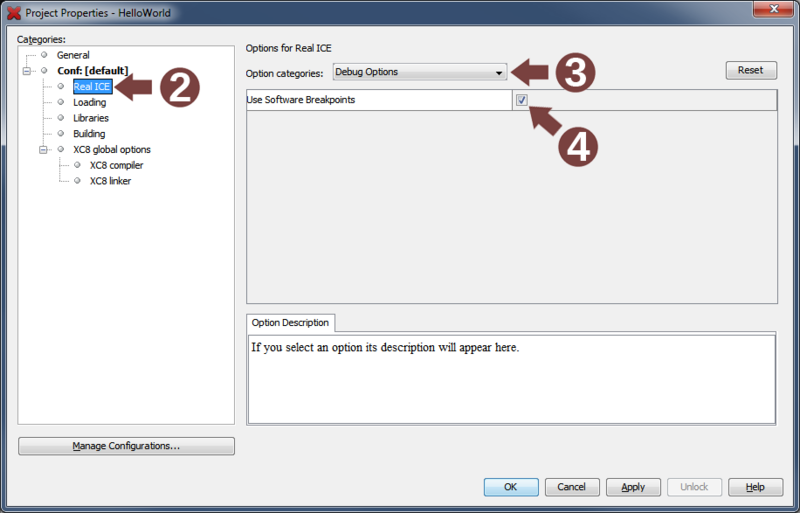 Check box to enable use of software breakpoints.